"Awareness in the 'Self Referrel' state is the home of all the laws of nature"
Transcendental Meditation was introduced to the general public by His Holiness Maharishi Mahesh Yogi between 1955 and 1957. This meditation technique comes from the ancient timeless tradition of Vedic Masters who have passed it from generation to generation in its purity and effectiveness. 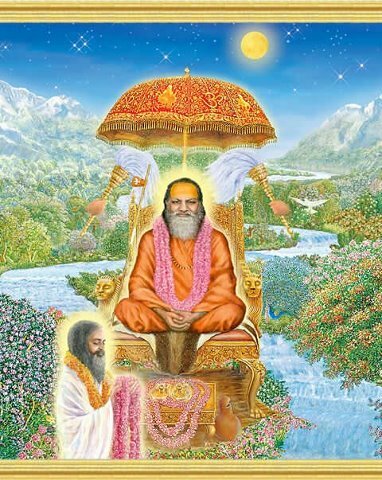 Maharishi received this technique from his Master “Gurudev’ -His Divinity Swami Brahmanand Saraswati, Jagadguru Shankaracharya of Jyothirmath, Himalayas. ‘Gurudev’ was a custodian of the Vedic Wisdom of integration of life. Maharishi Mahesh Yogi is wellknown in the world as a great scientist of consciousness and foremost Vedic Scholar. He has revived the ancient but scattered Vedic knowledge into a systematic science of consciousness known as Mahariashi Vedic Science. Maharishi Vedic Science is the science of the ‘Self’ of everyone. It is very intimate to everyones life. It is the science of consciousness. Consciousness is the most basic element. It is the basis of both mind and matter. Since Maharishi first introduced the Transcendental Meditation programme in 1957, his message has always been practical and direct: Within everyone is an unlimited reservoir of energy, intelligence, and happiness-and living that reality is the birthright of everyone. Maharishi brought out the Transcendental Meditation technique as a simple, effortless procedure to harness this untapped potential. The technique, Maharishi said, could be easily learnt by anyone of any age, culture, religion, or educational background. Today, five million people practise the Transcendental Meditation program and the technique is a household word around the world. Maharishi introduced Vedic science to the western world as the ‘Science of Creative Intelligence (SCI)' . When we look around in nature we see an order a systematic progression in all of its functioning. For example; the growth of plants, the movement of planets, the delicate ecological balance etc. The simple observation of order in nature indicates that there is some intelligence at work. It is also evident that this intelligence has an evolutionary direction and hence may be called creative intelligence. The systematic knowledge of the origin, development range and application of creative intelligence is called the science of creative intelligence. Quantum physics now calls this basic field of intelligence as the Unified field of all the laws of nature, from where all the laws of nature emerge. Transcendental Meditation is the practical aspect of this Science of Creative Intelligence . TM gives direct experience of this field of intelligence which is then developed and applied to enrich all aspects of human life. All the creativity and intelligence that we display in our active lives comes from thought (thoughts are the basis for action) and thought comes from somewhere deep within. So we locate the centre of creative intelligence within us, deep within the mind at the source of thought. TM is a technique which provides direct experience of the source of thought which is the reservoir of creative intelligence also known as pure consciousness or unbounded awareness . Maharishi explains that meditation is a process whereby we take our attention from a field of greater mental activity to lesser and lesser activity. To ‘transcend' means to go beyond. Therefore during Transcendental Meditation we allow the mind to experience finer and finer states of a thought and eventually go beyond the finest state of thought, beyond intellect to gain unbounded awareness, pure consciousness in the most natural and effortless way. To make our conscious mind more creative and more intelligent we must take our mind to the source of thought within. TM is a technique which will open the channel of creative intelligence to enrich and make powerful every impulse of thought and action. Everyone knows that the arrow flies only when it has been pulled. Pull the arrow and release is the technique to hit the target . Similarly during TM when the mind is drawn back to the reservoir of creative intelligence at the source and from there plunges into activity, all activity is accomplished with minimum effort. For a rising wave to remain integrated and be more powerful it must draw more from its source . For an active mind to remain integrated and be more powerful it is necessary to draw more from its base at the source of thought. Just as a tree is strongest at its root, deep within the mind, thought is most powerful at its source . When through TM awareness opens to the finest state of thought at its source, thinking becomes more powerful and results in more rewarding action. Any creative work requires silence. An architect sits in the silence of his room and designs beautiful buildings in that silence. But the pace of life today is such that we cannot afford to be in silence often, however life demands creativity. Skill in action demands development of creative silence in our awareness so that we are restful even while acting. We need to carry the inner stability of silence into the midst of activity . The source of thought has that value of creative silence. To open our awareness to it we take our attention to finer states of a thought and systematically arrive at this source. This process is basic to the TM technique. 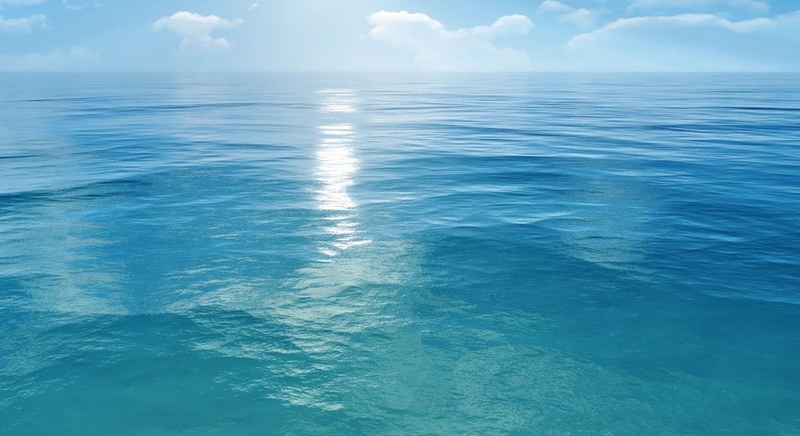 The clarity of awareness which develops through the TM technique provides the quality of clear thinking. A clear thinking mind is vital to a student in the classroom, mother at home, father at the office and for their mutual relationship. Development of mind is basic to life. How does TM affect health? The TM technique has the effect of expanding the conscious capacity of the mind and developing creative intelligence. In order to develop full mental potential one should at least have good health. All our activity, thinking and feeling depends upon the condition of the physical value of the nervous system . On the days when we feel rested and fresh, all activity seems to be easier and more creative. Yet on other days when the system is strained, we express this tired mood in everything we do. When a man comes home after a days work he feels tired. This tiredness has two aspects to it. The surface condition of tiredness we call fatigue, the deeper aspect may be called stress. Fatigue and stress should both be released so that we do not carry over stress accumulated within ourselves from one day to the next. TM is a means to achieve this. The TM technique gives a unique state of rest caused by physiological changes which researchers have reported to be of maximum benefit to health. The genuinely deep state of rest (twice as much as in deep sleep) gained by the body due to the practice of TM, which is a mental technique results in normalization of the nervous system. Research in physiology has proved that mental activity corresponds to physical activity. Different mental activities correspond to different activities in the nervous system. Every state of consciousness has its own corresponding state of physiology . Research has shown that mental activity during sleep has its own corresponding physiological condition in the body. Mental activity during dreaming has its own corresponding physiological condition in the body. From this it is clear that in TM when mental activity becomes finer physical activity also gets finer and the metabolic rate drops. We lay men say deep rest has been gained. As the mind settles to finer aspects of the thinking process during TM, the body simultaneously settles to deeper states of rest. As the mind transcends the finest aspect of thinking the body gains complete rest while the mind is perfectly still yet fully alert. This state is called the state of restful alertness which has been identified as the fourth state of consciousness, distinct from the other three states of waking, dreaming and sleeping. Due to this deep rest gained during TM which is more profound than what is possible even during deep sleep, deep rooted stresses are naturally dissolved. The TM technique not only relieves the system from the general fatigue of daily activity but also dissolves deep rooted stresses accumulated in the body. Removal of tensions through the TM technique roots out the very cause of psychosomatic diseases which arise from worries, anxieties, failures and disappointments in life. The TM technique establishes a state of normal health in which the body and mind are found to support each other more and more. TM improves both the functioning of the nervous system and its co-ordination with the mind. Therefore one is able to accomplish more work without getting unduly tired. TM has been shown to be effective against heart disease, high blood pressure, depression, asthma, acidity, insomnia, alcoholism, drug abuse etc. TM is especially effective during pregnancy and problems pertaining to women. So TM gives profound rest to the system, removes existing stresses, provides revitalizing and rejuvenating influences in the body, increases energy and improves efficiency in action. Each of these benefits has a direct bearing on the vital problem of preventing sickness. “Heyam Dukham Anaagatam” – “Avert the suffering that has not yet come”. This state of truly normal health is accomplished naturally and easily by 20 mins of twice daily practice of TM. Any improvement in social life? The body and mind are intimately connected. This fact is verified by scientific experiments which show that alertness of the mind and efficiency in thinking increase simultaneously as the body gains deep rest and releases stresses. Research on psychological and physiological changes brought about by the TM technique show that improved condition of the mind brings about improved condition of the body and vice versa. The individual and the environment share the same intimate relationship. Improved condition of the individual improves the response of the environment to him and improved environment induces improvement in the individual. Influence is always reciprocal. When the individual wants to improve the response from his environment towards him the most effective method would be to improve himself and thereby improve his behaviour with others. Behaviour arises from the level of ones need, it is a means to fulfil the need. Therefore it is necessary that behaviour meets with success. Behaviour depends upon the ability to evaluate, which in turn depends on the ability to appreciate which in turn depends upon the quality of mind and heart. “Beauty lies in the eyes of the beholder.” The TM technique is a natural and spontaneous method of releasing stresses and strains, thereby making available more tender qualities of heart and mind for more fruitful behaviour. The behaviour of a man as he grows up extend his territory of influence. The proper handling of the extended territory of influence demands an expanded awareness and broader comprehension. The TM technique accomplishes this easily in an effortless manner. Behaviour depends on the level of consciousness. When we behave from the level of unbounded awareness harmony dominates in behaviour. Behaviour can only be of maximum benefit to oneself and ones surroundings if it arises from a fully developed heart and mind. Behaviour is the expression of love, love is the impulse of life and love arises more and more from a full heart. TM develops the qualities of life which naturally enrich all avenues of behaviour and make life more fulfilling. The universe reacts to individual action. Physics has revealed that everything in the universe is constantly influencing every other thing. Nothing exists in isolation. Through every thought word and action we are producing influences which affect our surroundings. Therefore it is the responsibility of every man to behave in such a way that his behaviour produces life supporting influence for all. Contact with the pure field of intelligence is contact with the field that supports all life as we find it. It results in spontaneous life supporting behaviour. When we consider a green forest, we are considering a large number of individual trees that are green. When we consider a peaceful world we are considering a world of peaceful individuals. Individual is the basic unit of society and individual happiness is the basis of individual peace . Unless a man is happy any sense of peace he may have will be constantly disturbed. A lasting state of happiness cannot be gained by anything in the outer ever-changing field of life. The minds great thirst for a state of lasting happiness can only be satisfied by contact with the field of infinite happiness, energy and intelligence – the source of thought deep within the mind . Establishing the mind in this field structures a permanent state of happiness harmony and peace. Sientific research has found that in cities and towns all over the world where as little as 1% of the population practices the TM technique crime rates decreased, accident rates decreased, hospitalizations decrease, medical expenses are reduced. This phenomenon of a powerful influence of harmony spreading through a whole community or nation when a small percentage of the population practises the TM technique is known as the Maharishi Effect. The evidence of the Maharishi Effect establishes the principle that individual consciousness affects collective consciousness. The enrichment of collective consciousness creates an environment that in turn helps to accelerate the growth of individual consciousness.